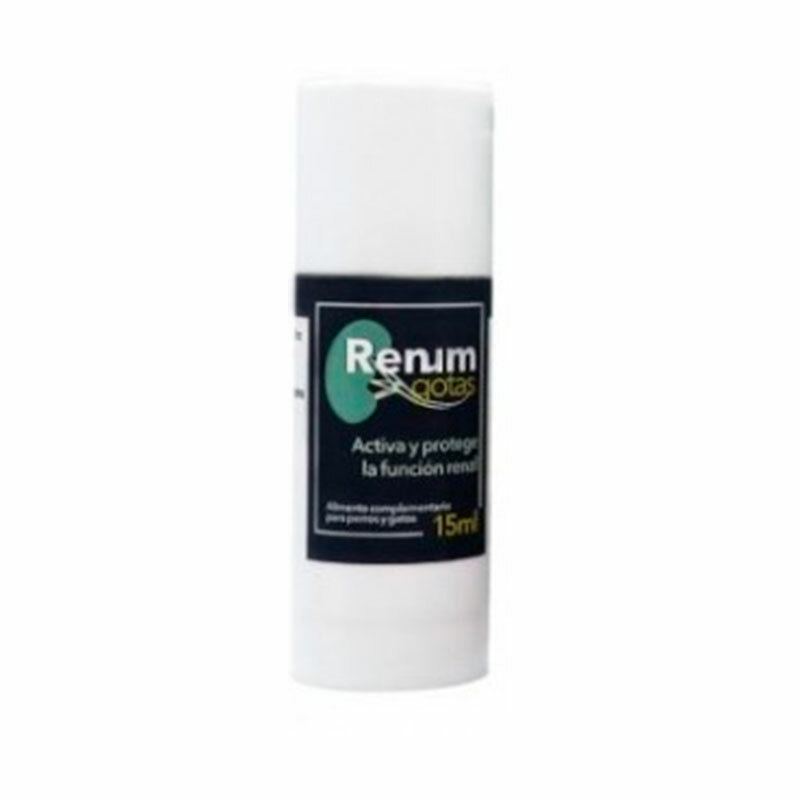 Renum is composed of Coenzyme Q10 TRANS and tocopherols. This type of Coenzyme Q10 has as a therapeutic target the NOX4 enzyme system, mainly present in the kidney, and is responsible for generating the imbalance causing oxidative stress at the kidney level. There, it corrects the functioning of the cellular respiration system, restoring the redox balance. The tocopherols act at the level of LDL, avoiding lipid peroxidation. This is called a chain of reactions generated by free radicals at the cellular membrane level, modifying the structure of lipids, mainly unsaturated. This causes damage to the cell membrane and loss of its functions and the consequent loss of cellular function. Vegetable and fish oils rich in polyunsaturated fatty acids act by protecting the cell membranes and providing their structural components. Renum is administered orally, directly into the mouth of the animal or emptying the contents in the food. Laboratorios König ,una empresa con más de 40 años de trayectoria. Laboratorios König hace de la investigación, el desarrollo y la comercialización de productos para uso veterinario su principal objetivo. Su norma es fabricar, controlar y garantizar calidad. Estrictos estándares de procedimientos, una adecuada infraestructura combinada con equipos de alta precisión y última tecnología dan como resultado productos de alta calidad. La reconocida calidad y confiabilidad de sus productos, la eficiencia y seguridad de sus procesos industriales, sus principios éticos y sus buenas prácticas comerciales han contribuido a cimentar el prestigio de Laboratorios König.